Wait a minute...that's not pasta! This is the post reminding all of you that I'm hosting this week's Presto Pasta Night. 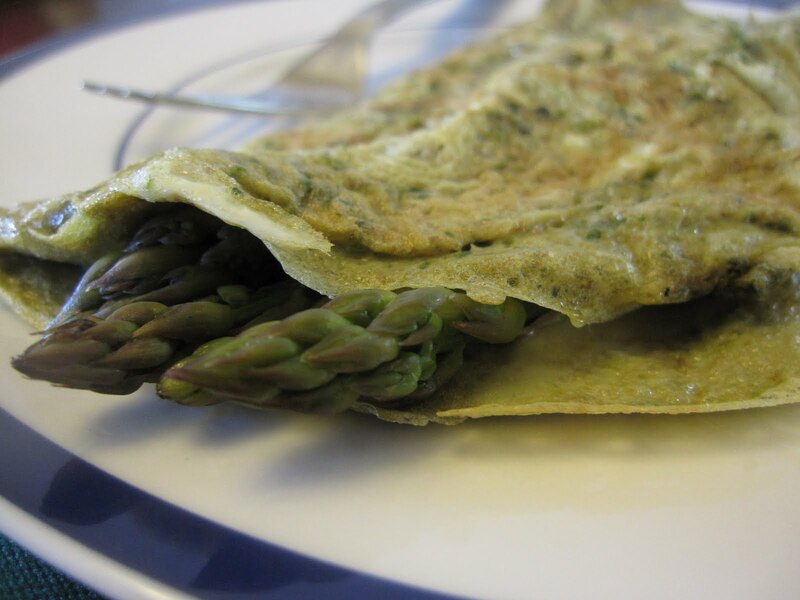 So why is there a photo of an asparagus omelet at the top? Well, I'm still on The South Beach Diet Supercharged and, although I've lost a few pounds, it looks like I'll still be doing this next week as well. And as I was making my very delicious omelet, I couldn't help but imagine how great the roasted asparagus tossed with some of Giada's Spicy Walnut Pesto and some cheese would be over pasta - the link to the pesto is actually a tasty pasta dish I made not that long ago - great for SBD Phase 2 with multigrain pasta. Send your fabulous pastas to me ruth (at) 4everykitchen (dot) com by Thursday night, so I can drool - and bookmark for later. I must check out the spicy walnut pesto. It sounds perfect for so many foods. I am waiting for the summer to make all these that are not necessities but make eating, so much better.